Dear bride of Christ: grace, mercy, and peace to you from God the Father and our Lord and Saviour Jesus Christ. Amen. Marriage is good. Marriage is a blessing to husband and wife. Marriage is a blessing to children and children are a blessing in marriage. Marriage is a blessing to society, and is indeed the basis of society. The devil, the world, and our sinful flesh think they know better. They think fornication is better than marriage. They think divorce is better than marriage. They think the individual is the basis of society. If the individual is the basis of society, all responsibility of children to parents, parents to children, husband to wife, and wife to husband are thrown out the window. Then I do what I want when I want. It’s all about me. It’s all about whatever makes me happy. Surely you can see how that leads to licentiousness. You’re not alone if you’ve tried to make excuses for your sins or the sins of others in this way. You’re not alone if you’ve tried to debate God in this way. The disciples did it too. Jesus’ answer to the Pharisees wasn’t enough for the disciples. Jesus said that Moses allowed divorce because of their hardness of heart, but that that is not God’s design for marriage. It is not God’s intent for marriage. God’s design and intent for marriage is for husband and wife to hold fast to each other as one flesh until death parts them, since God Himself has joined them together. What God has joined together, let not man separate. The disciples thought that this surely did not sound fair or reasonable. So, when they went into the house, the disciples brought it up with Jesus again. Matthew, in his account, records that the disciples even responded that if divorce is sin, it is better not to marry at all (Matt. 19:10). If you are stuck in your marriage until one of you dies, they thought it better to despise marriage altogether. If you can’t remarry after divorce because it is adultery, then why not just commit adultery and forget marriage altogether? What a sinful and godless way to view marriage! It sees marriage as being bad. As if marriage is a curse on husband and wife and a curse on society. Certainly, our society takes this view as marriage is abandoned in favour of divorce and adultery, but this view has no place in the Christian church. Afterall, Scripture tells us that the sexually immoral, the adulterers, and those who practice homosexuality will not inherit the kingdom of God (I Cor. 6:9; Gal. 5:19,21). Does this mean that anyone who is guilty of breaking the Sixth Commandment is going to hell? No, that’s not what Scripture says. It says those who are sexually immoral. Those who practice such sins. In other words, those who remain in their sin and do not repent. Those who will not recognize their sin and turn away from it. Those who despise God’s good gift of marriage and remain in sin. That’s why the Church has and continues to speak God’s Word on these matters. We love our neighbour, so we want to warn him about the eternal danger he is in if he does not repent. We love our neighbour, so we want him to receive forgiveness from God as we have received and continue to receive forgiveness. Eve was created from Adam’s side while he slept. In the same way, the New Eve, the Church, has been given life from Jesus’ side. The Church has been given life by the water and blood that flowed from the spear-pierced side of the New Adam as He slept the sleep of death. Jesus washed you in Baptism to remove your spots and wrinkles of sin. He washed you to be holy and blameless. His blood continues to flow to you from the chalice with forgiveness and eternal life. God is not interested in our excuses for sin. He will not debate adultery or divorce with us. But He will forgive adultery and divorce to those who are repentant. God doesn’t weaken or bend His Law when we break it. The breaking of God’s holy Law means there must be just punishment, but that punishment is not for you. Your punishment was put on Jesus. Only sinners die. That’s why Jesus died. God put your sins on Him and punished Him in your place. For your sake, God made Him to be sin who knew no sin, so that in Him you might become the righteousness of God (II Cor. 5:21). God took all of your sins against His holy institution of marriage and put them on Jesus. God took your selfishness and excuses and put them on Jesus. Jesus, the perfect bridegroom, gave His life to save His bride, the Church. He washed us through Baptism. 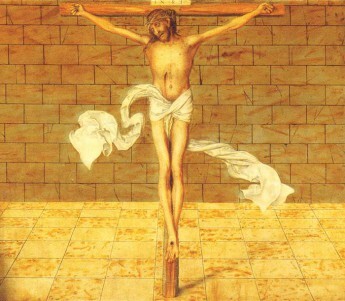 He nourishes and cherishes us with His life-giving Word and His true body and blood. He does this so that He might present us to Himself with splendour, without spot or wrinkle or any such thing, that we might be holy and without blemish. He covers our sins and clothes us with His righteousness so that we will be appropriately dressed for the marriage feast of the Lamb in His kingdom which has no end.